Vikings probably used “sunstones” to navigate storms like this one. Vikings successfully navigated the treacherous North Atlantic for 300 years, regularly using their spectacular longships to sail between Scandinavia, Iceland, and Greenland. What were their chief navigational tools? waypoints. Landmarks, such as islands in the North Sea or the coast of Iceland, would be the most familiar and obvious way to navigate. sun. The North Atlantic has up to 24 hours of continuous sunlight in the summer, the most likely time for Viking voyages. 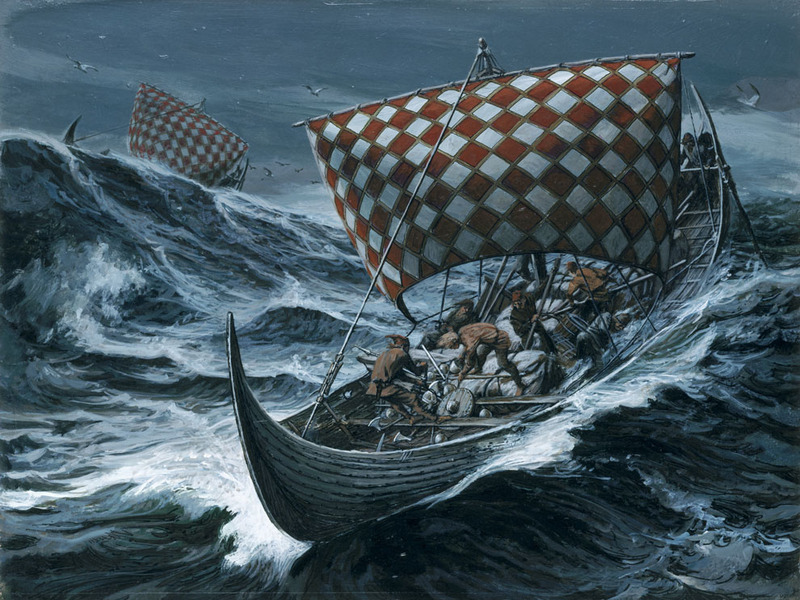 Viking navigators must have relied heavily on the sun to find their geographic orientation (position in relation to true north) on the open sea. stars. Vikings undoubtedly used celestial navigation to orient themselves when the sun went down. Polaris, the North Star, was was probably the most important star they consulted. sun compass. Sun compasses use the position of the sun’s shadow to help navigators orient themselves. No Viking sun compasses have been positively identified. sunstones. 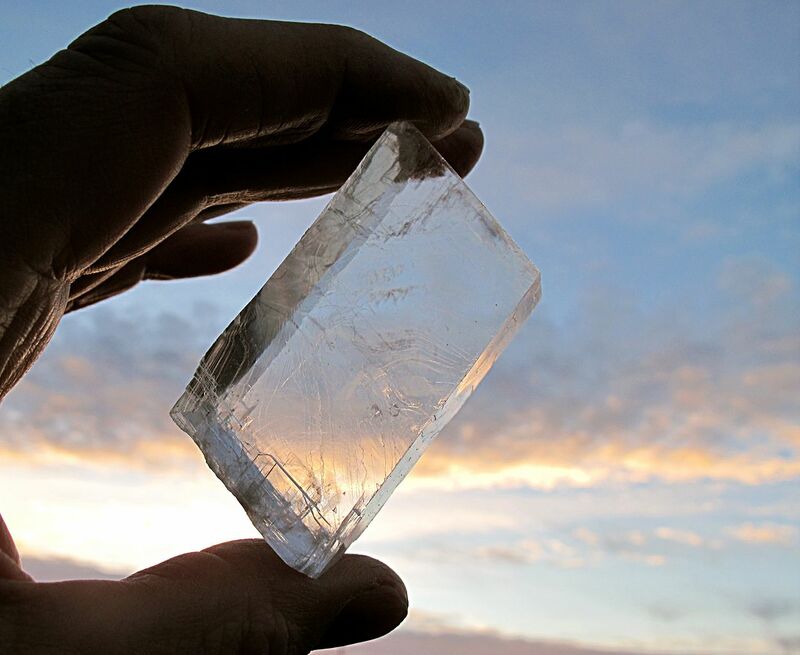 Viking sunstones describe various minerals that, when held to an overcast or twilight sky, allow navigators to determine the position of the sun. No Viking sunstones have been positively identified. To determine the position of the sun on a cloudy day, Viking navigators may have rotated a sunstone to match up the double-reflection. Polarized light describes light in which all waves vibrate in a single plane. Polarized light exhibits different properties than unpolarized light. Learn more about polarized light here. 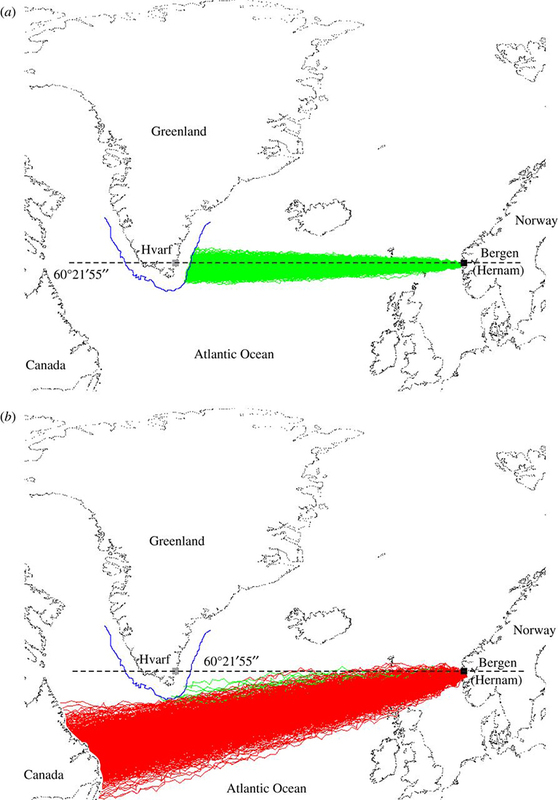 This map shows successful (green) and unsuccessful (red) routes of 1,000 Viking voyages from Norway to Greenland if a calcite sunstone crystal is used to analyze sky polarization. The blue curve is the borderline of visibility from which the southernmost mountains of Greenland can be seen from a Viking ship. How did researchers test the efficiency of sunstones? timing. Voyages were limited to the time between the spring equinox and the summer solstice. This time of year has calmer seas and longer daylight hours, both of which are advantages to long voyages. weather. The voyages encountered differing amounts of cloud cover, testing how well the sunstones worked in both relatively clear and low-visibility conditions. minerals. All three crystals most associated with Viking sunstones (calcite, cordierite, and a variety of tourmaline known as “Icelandic spar”) were tested. frequency of readings. Researchers varied how often their Vikings checked their sunstones, between every six hours and every hour. According to the simulations, how accurate were the sunstones in helping navigate the North Atlantic? Which variable made the biggest difference in success? Vikings had diminishing returns the less frequently they checked their orientation—up to about 59% for checking at least once every four hours, and less than 1% for checking every five or six. What happened to the real-life Vikings that didn’t make landfall in Greenland? Take another look at that map for an intriguing possibility. So, are there any explorers out there willing to test their navigational abilities in the North Atlantic, equipped with a beautiful longboat and a nice rock? 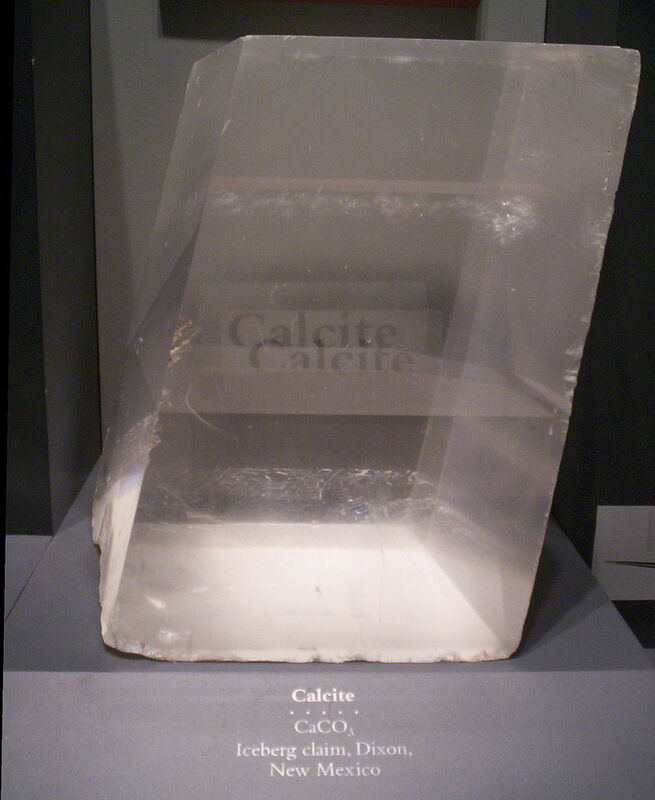 Calcite, also known as “Icelandic spar,” may have been one of the minerals used as a sunstone by Viking navigators.